One thing I realized after learning through the years about equal opportunities in the workplace is that I have been lucky because all the places that I had worked for had female bosses. The owners were still male, but the people I worked under were female. When I was an intern for a magazine and an ad agency, my bosses were both female. I thought it was an amazing opportunity to see young women blazing a trail for themselves in their place of work and in their chosen industries. It was something that inspired me to hope that maybe one day I could be someone like them. My first job was in marketing, where my immediate superior was a woman who was not that much older than I was. She was smart but down to earth and I liked watching and learning from someone like her. My next job was in ecommerce. There I had an older boss, who acted as a motherly figure who was also a mentor at the same time. She was very dedicated to her work and made a habit of having weekly meetings, so we can all update each other on the progress of our projects. It’s something that I have carried with me to my current job. I may not organize meetings that often, but I make it a point to discuss work progress with everyone in my division as often as may be necessary. In my current job, I have had a female superior when I first entered the company and now, I am one of the females in senior positions in the company. In this current job, there are more female than male employees in senior positions and I am grateful that we are in that kind of a work environment where the gender of the person has not been used as a basis for determining the position we can have in the workplace. This is all a big deal to me. I grew up with my father being a boss and my mother being a secretary. When I was a child that was the more common setup. 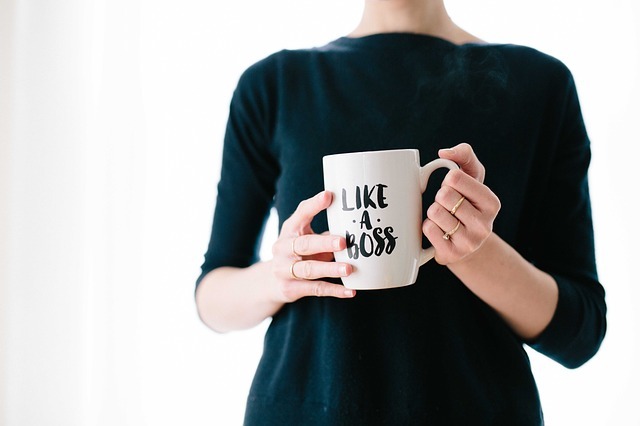 Having that not be the norm today, to be able to live in the generation where women do not have to be the secretaries but be the bosses themselves is a wonderful thing. As I read about how there are still many places where women are not given equal opportunity at work, I remain appreciative of the places where I have been and am currently employed. If there is anything this has taught me it’s not just to give more opportunities to women but also to be open and give opportunities to everyone equally regardless of gender, age, etc. If we write people off because of certain labels, we will never know what kind of talent we pass on because of whatever prejudices we might have had. If I had worked in a place where it was male-dominated, I don’t think I would learn to appreciate the term “equal opportunity workplace” the way I do today. I know it’s not women’s month or anything like that, but I just have to raise a glass to the women who I had worked for and the people who have given these women the opportunities that they did to inspire me to be the woman that I am today in the workplace. I hope that there will be more of us in the future!